Dr. Kay received his PhD in Earth and Environmental Science from the University of Illinois at Chicago. His research interests are primarily about studying how planetary bodies’ surfaces and structure change to deformation. By examining the long to response of materials to strain and incorporating realistic rheological parameters we can better understand the past of planetary bodies within our solar system. 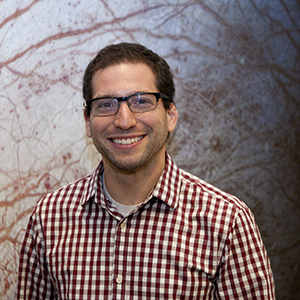 Historically, his work has focused on the response of lithospheres to folding in compression, but presently he is working on the compensation of topography on icy satellites and using fractures to determine how recently active the surface of Europa was.